MT-434 is a Project 1332M ocean-going minesweeper. 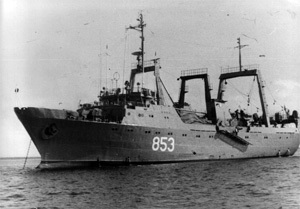 The ship was commissioned in 1973. The ship was refitted under conversion program from Project 1332 Barents Sea trawler.